What about giving back by promoting the act of giving back? 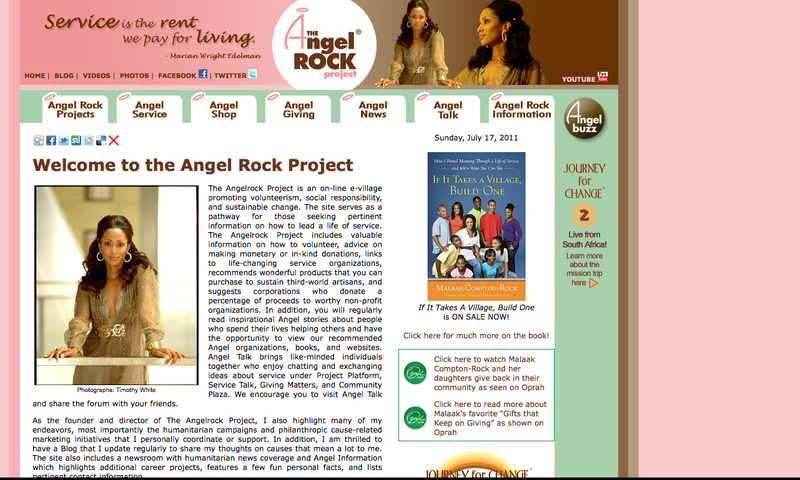 Much like part of the intention of Celebrity Optimist, Malaak Compton-Rock’s organization, The Angel Rock Project, is set up to do the same thing. Wife to comedian Chris Rock, Malaak captivates her own audience. And so, when it comes to giving back and infusing positive change into your surroundings and your world, there are so many ways to invest in yourself, by investing in others.